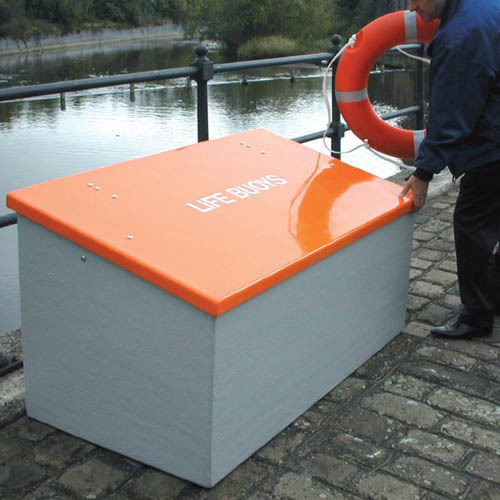 The 840 litre glass fibre composite storage unit is manufactured from high impact strength glass fibre composite (GFC) which is unaffected by extreme temperatures or salt water so will therefore not corrode if located next to the sea. Added to this 65% of the materials construction comes from renewable sources, making it environmentally friendly. 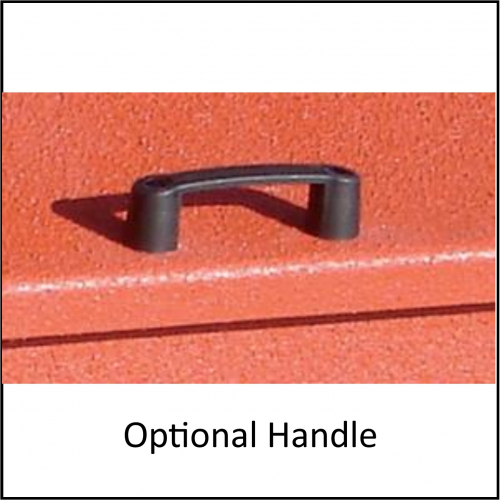 Strong and durable storage containers that are ideal for storing almost anything. 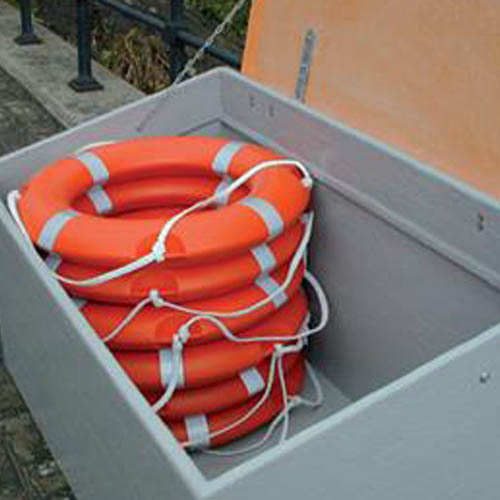 Specially designed for use in large supermarket chains, warehouses, and lifeguard areas. 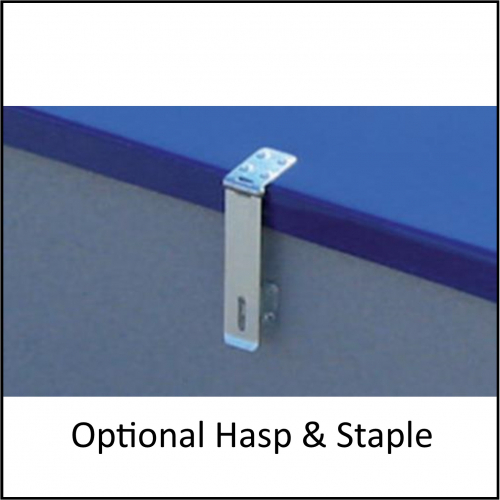 Picture shown has a hasp and staple included for use with a padlock (Padlock not supplied) and bespoke vinyl stickers. 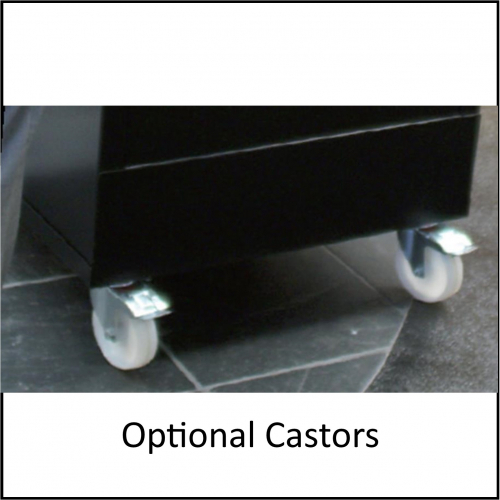 Available in either single or two compartment versions with single or twin lids. The Glass Fibre Composite Storage Units are available with a choice of either a textured or smooth finish. The textured finish uses PTX textured paint to give a rough finish not too dissimilar to sandpaper and is designed to prevent unwanted graffiti and posters being applied to the bin. 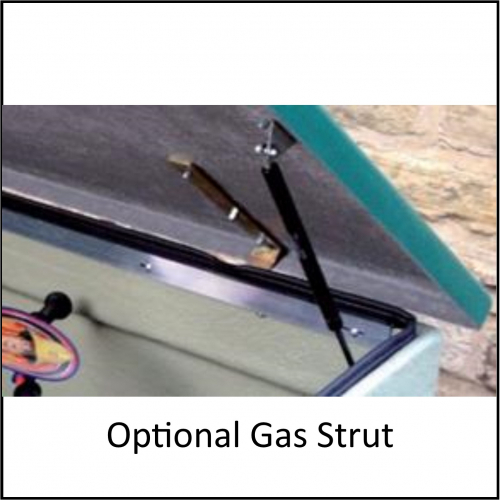 The smooth finish uses a smoother pseudo-cast iron finish with only a slight texture and no roughness.